Here at Stourbridge Automotive Ltd, we like welcome lady drivers too. So often we hear of garages, where women drivers have felt uncomfortable when taking their car in for servicing and maintenance. The general opinion is that, the surroundings are oily and dirty, plus untidy workshop areas and having mostly male staff using technical jargon which can often feel intimidating. At Stourbridge Automotive Ltd, we try to provide something different! Having a very diverse team, we feel we have the right balance to offer all our customers a more welcoming environment to walk into. 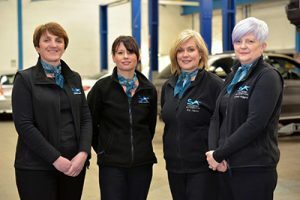 Collectively, our members of staff have many years of experience within the automotive industry, which enables them to convey a good level of knowledge and aim to be as informative as possible when communicating with customers. The nature of the repairs and all the costs are explained, either prior to carrying out work, or during further work, being completed. This is done so that customers are clear and happy as to what is being done to their vehicle. 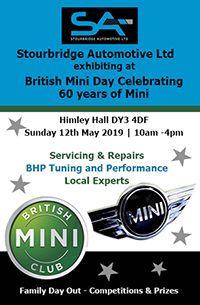 The content of our company website – www.stourbridgeautomotive.co.uk was written personally by our directors, who understand where details across all of our services need to be clearly outlined, without being full of technical talk. 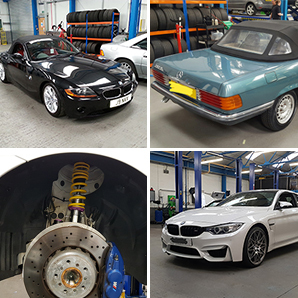 Our well-maintained workshop is regularly cleaned by the support staff, plus the workshop team is aware of the importance of a well-kept workshop being appreciated by the public. On the first floor of our premises we offer a waiting room with light refreshment facilities and free WIFI, so that should you need to wait whilst we carry out work on your vehicle, you can feel relaxed and comfortable at our garage. One ambition for the further development to the business, is to employ female technicians and apprentices’ to create an even more diverse team. We also have some exciting plans up our sleeve to encourage women to give us a try, by offering helpful workshops in the future and tips on how to carry out simple checks and steps to maintain their vehicle independently.